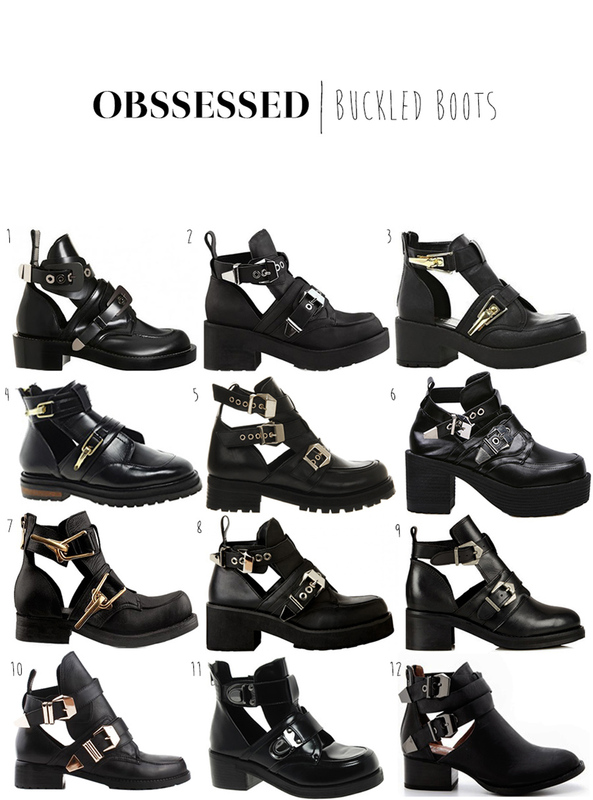 Since Balenciaga’s ankle boots phenomenon, buckles and cutouts on shoes really step up the game on streetstyle scenery! Brands like jeffrey Campbell, Topshop and River Island made their versions of the boots and I think that in the next season this kind of boot will be the coolest thing to wear with everything! Now, I made a collage with a few options if you can find them (have some links for you to click)! I already choosed mine! Adoro este tipo de botas e adorava ter as segundas, as Jeffrey Campbell, mas o mês passado comprei umas inspiradas da zara e adoro-as! Adoro! Especialmente as ultimas, são mais elegantes e um bocadinho menos rocker!! omg! I just did a post with some inspiration pictures about these boots! I looove them too!! By the way, how are you babe??? what about your summer???????? Umas mais bonitas que outras!